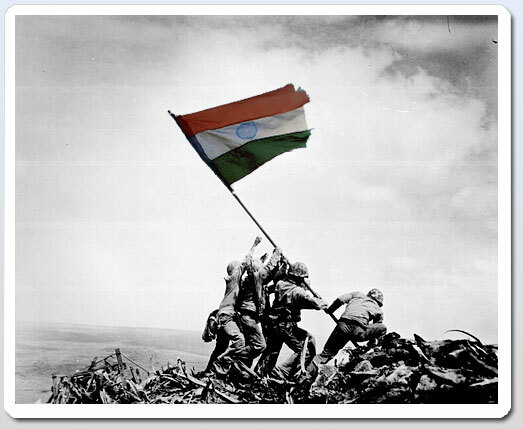 yes India is celebrating the 64th Independence Day today....64 years of being free...independent from the foreign rule. India has come a very long way...but somewhere the country itself lost its freedom and patriotism. Where do we all Indians irrespective of religion,caste,language and community stand? The answer is yet to be discovered. We all love to express our patriotism whenever 15th August comes but what happens the next day? even there are flags and roses made on your text messages that you eagerly wait to get and deliver on this very day! We often watch movies like Border and Gandhi but do we really make this our daily routine? but do we really think about our countrymen who are suffering the pains of prise rise, starvation and acute poverty? Do they have the money to buy gifts or feed their family on independence day? but what after that? do we all follow what we demand for? we start complaining about corruption,caste system, poverty and illiteracy....but what happens when we just end up? I love my country because i love my people who irrespective of multicultural society celebrate each and every festival with the same zeal and manner. My people negotiate on the basis of caste and religion everyday like the people of Russia and Afghanistan. My people always follow the tradition of "atithi-devo-bhava" and "satyameva jayate"
I m a part of that country that once was ruled by the Aryans, Dravidians and Moguls who gave us marvels of architecture like Qutub Minaar and Taj Mahal. the Mahabharata , Ramayana ,Geeta, Vedas- Upanishads, Guru Grantha Sahib, Jataka Katha, Theravada, Agamas,etc. that enlightened the country with spirituality and purity of minds. Himalayas, Deserts, Rain forests,Wildlife....INDIA has got everything. It is saddening to see the sudden sprout of 'patriotism' in our barren hearts, on the two occasions : The Independence day and The Republic day. For the remaining days of the year here's what we do : We dirty our country, we misbehave with the tourists who come to see the so called cultural heritage of the country, we detest the constitution, we spoil the public property, we criticize fellow countrymen, we support fanatic causes without even understanding the true motives behind them, we spoil the monuments by carving our names all over it, we do not vote, and the list just goes on you know. In short, all round the year we spare no chance in spoiling the sanctity of Mother India. 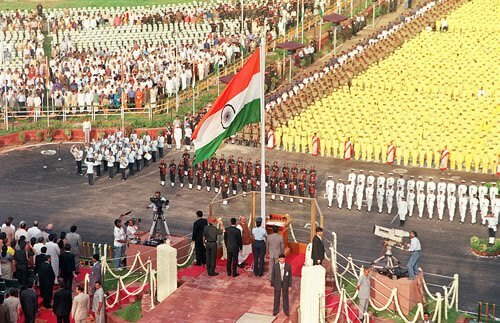 But, then when the two big days come, we all are up with the waving tri-colour, wishing everybody, looking back at the great history and partly thanking the dead heroes for their noble deeds. If you really want to celebrate the Nation or its might, just try and make it a better place to live. A little effort by everybody, a small deed of kindness everyday, will give startling results. And a day will finally come, when the heroes will smile from their graves and say, "Yes, that was the India we had dreamed of." Everyday from that day will be an Independence Day and a Republic Day. Make the world a better place to live. Love, peace and happiness has to be nourished and nurtured. And then, passed on from one generation to the other. many many thanks to your response. i agree with you and yes our little effort every day can make our country stand out and then we will proudly boast of being INDIANs.